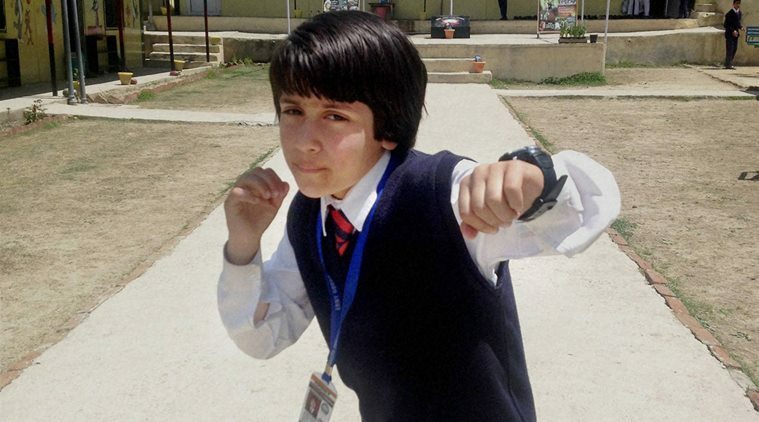 Amid the shutdown and restrictions for more than 3 months in a row in Kashmir, this eight-year-old girl Tajamul Islam from a remote area in the Valley’s north has won the gold at the World Kickboxing Championship in Italy. Tajamul, hailing from Tarkpora village of Bandipora, bagged medal after defeating her rival from United States in the final. The world championship was held in Italy from November 5 to 11. Tajamul represented Kick Boxing Federation of India in the world event. In the event the talented kid took part in six bouts and remained unbeaten. According to her mentor and coach Fasil Ali, the feat makes Tajamul the world’s youngest kickboxer to win an international gold. “The sub-junior level closes at 14 years of age. Tajamul was the youngest in the category. The stand-up combat sport, which involves kicking and punching, originated half a century ago in Japan — and, within a decade, became popular in the West as well. Ali has been coaching Tajamul in the native of Tarkpora village, for two years in the backyard of his house. Tajamul’s talent got highlighted last year when she bagged the gold medal in the sub-junior category at the 2015 National Kickboxing Championship in Delhi. That enabled her to gain entry into the Andria world championships, which began early this month. The finals was on November 9. Overall, Tajamul won six games. Already, Tajamul is a celebrity in her Tarkpora village, 65 kms from Srinagar. A student of Army Goodwill School in Bandipora, her father is a driver. Tajamul's journey started in 2014 when she joined a local academy that trains young boys and girls in martial arts. She was walking near the stadium when she saw many young boys and girls training. She asked her father to let her join them and her father agrees to it. Soon, she won the state championship, and later the national. Later When Tajamul wanted to take up kickboxing, her father tried to dissuade her telling her it’s a rough sport and she might get hurt. She persisted promising him that she’ll be better than all the boys. 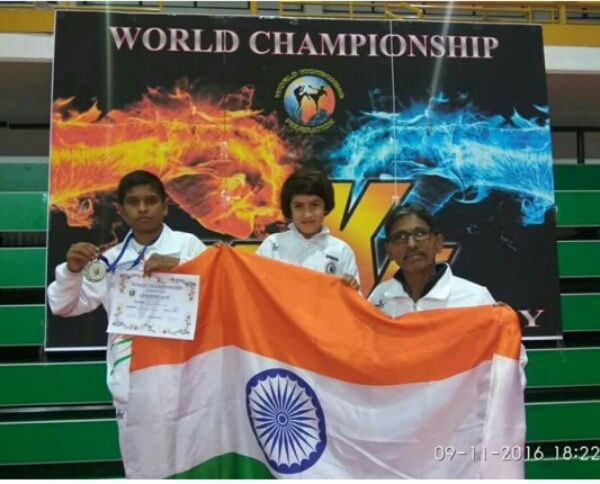 At 7 Tajamul fulfilled that promise by becoming the youngest sub-junior national kickboxing champion. She defeated her 13-year-old opponent to win the title in the 2015 national finals. Tajamul’s father is not only proud of her daughter but hopes that her daughter will help change people’s attitudes towards girls and sports in her native Kashmir. Tajamul has broken every stereotype pertaining to young girls and sports. She excels at a contact sport which requires skill, hard training and a lot of physical strength. She trains five hours every day besides studying and pursuing her other love–dancing. Tajamul's brother and two sisters also practice kickboxing. Tajamul Islam participated in World Kick Boxing Championship which witnessed participation of ninety countries.